Our Fathers are the spotlight of the month of June and this is a fun Father’s Day or Veteran appreciation card. It came together with the Hampton Art/Jillibean Soup Irish Farmhouse Soup Large stamp set and some papers from the same collection. 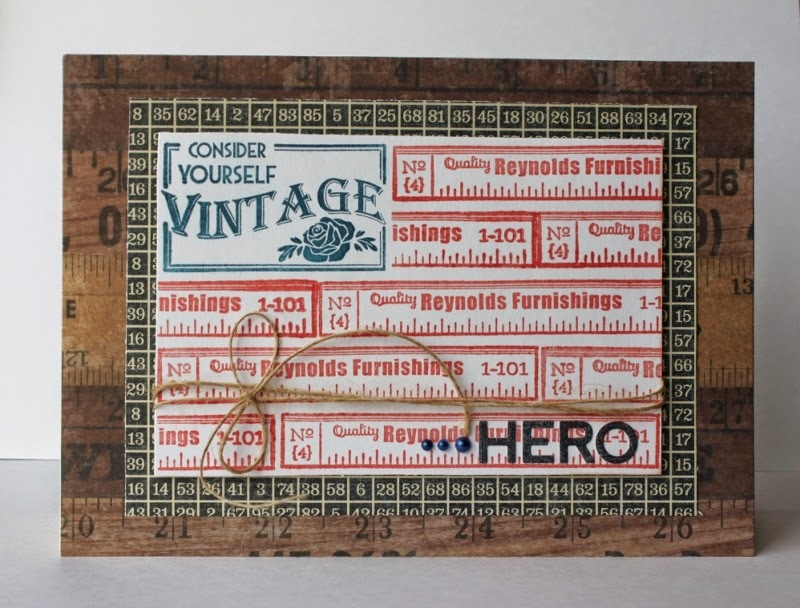 I thought it would be fun to use the ruler stamp to make stripes for a flag, masking the star area and then stamping the Vintage stamp in the star area. Using red and navy ink I stamped my flag onto white cardstock. Using some natural twine I wrapped the flag twice then tied a bow. Then I trimmed the flag and added a mat from Barley paper and adhered it onto the Sea Salt paper. All that was left was the “HERO” sentiment which I added denim alphabeans and three navy blue pearls as shown.